The Go LNG project is soon coming to an end with the Closing Conference taking place on the 15th and 16th of May 2019 in Klaipeda, Lithuania. The overall aim of the Go LNG project was to support and strengthen the LNG value chain in the Baltic Sea Region and with an anchor in Denmark, we have supported connection and promotion of sustainable growth in Danish companies which are offering and using LNG services, knowledge and technologies. 4 years have passed since the Go LNG application was approved, 8 years have passed since the team behind the Go LNG project started their LNG journey. Developed a strategy on how LNG infrastructure should be deployed in the BSR in order to establish LNG powered transport corridors for Maritime, Road, Rail and Port equipment. The global 0.50% Sulphur Cap will enter into force in 2020, and more than 70,000 ships will be affected by the regulation. This gives way for the BSR LNG Cluster to look away from the Baltic Sea and into new markets giving the companies an opportunity to promote their technological findings and knowledge which has been collected in the region to a broader market. 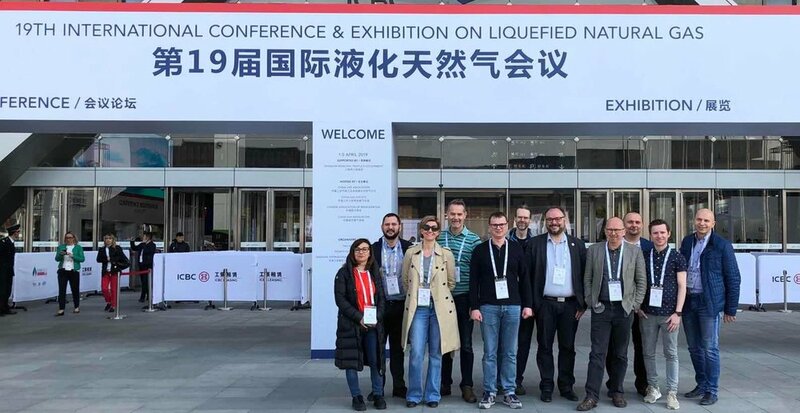 To meet this goal, the project has signed an agreement with the Greek LNG cluster in the beginning of the year 2019 and right now the project partners are in Shanghai at the worlds largest LNG Conference and Exhibition to formalize the collaboration with the Chinese. To sum up the project, the final conference will take place in Klaipeda from Maj 15th – 16th . You can read all about it and sign up HERE. Older PostWinter Business Networking 2019 - what a success!